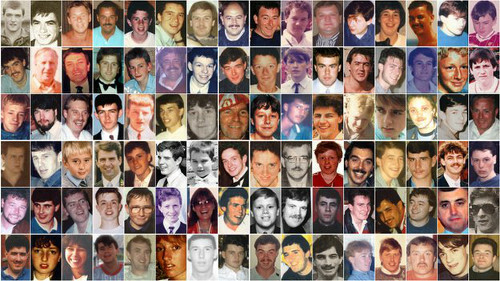 A Hillsborough victim may still have been breathing when he was placed in the recovery position on the pitch, the inquests heard. Peter Burkett, 24, from Rock Ferry, was seen on footage being carried from pen three, where he had been lying among a pile of casualties, at 3.21pm on April 15, 1989. Police officer Andrew Barlow was shown bringing a St John Ambulance officer to Peter. Footage at 3.26pm showed Peter lying on his side unattended, in what medical expert Professor Jerry Nolan said looked like the recovery position. He was moved onto his back as other casualties were carried, but placed back into the recovery position by police constable Brian Walton. Prof Nolan agreed that the fact Peter was put into the recovery position might suggest he was alive. He said: "That is one of the explanations for being placed in that recovery position, because, I mean, perhaps we haven't made that clear, but the correct thing to do is to use the recovery position if a person is breathing and has a heartbeat." Forensic pathologists Dr Nat Cary and Dr William Lawler said a post-mortem report for Peter suggested his brain had swollen. But, Dr Cary said it was not clear if the swelling was due to cerebral oedema - a condition which could develop if someone survived for an hour or more after the crush. The court heard Peter was last seen alive at 3.04pm and confirmed dead at 4pm. Dr Lawler said: "Here we have a timescale which is just barely an hour, probably very slightly less, and so, therefore, I think that alternative causative mechanisms may apply." Dr Cary said: "It is another piece of the jigsaw." He added: "He was put in the recovery position rather than left on his back, which clearly raises the possibility, an obvious possibility, that he was actually breathing and unconscious rather than in cardiac arrest at that time." The court heard that for a number of victims there was a lack of evidence of formal assessments for signs of life. Nicholas Joynes, 27, known as Nick, was shown on photos in the pen at 3.05pm. Prof Nolan said he was probably alive at the time the pictures were taken. The next evidence about Nick came from police officer Andrew Wood, who said he saw him at the Leppings Lane end of the pitch at about 3.40pm and carried him to the gymnasium. He and an off-duty doctor then performed CPR on Nick but saw no response. Nick, who a post-mortem showed suffered a broken bone in his neck, was confirmed dead at 4.05pm. Judy Khan, representing his family, said: "In this case two striking features perhaps, first of all, no assessment of Nick prior to moving him?" She added: "And no evidence of any treatment being administered at the Leppings Lane end of the pitch?" He was asked if moving Nick on the hoarding could have caused his condition to deteriorate. He said: "If he was breathing at the stage he was being moved and had a heartbeat, then moving him on his back, for example, could prove fatal, if it led to airway obstruction that was not treated." The court heard there was very little evidence for Alan Johnston, a 29-year-old accountant from Walton. Police officer Nigel Reeves described seeing Alan on the pitch after the crush and said he thought he was dead, although couldn't remember what checks he had done. He said he carried Alan on a hoarding across the pitch and a doctor at the Kop end told him he had died. Alan was confirmed dead in the gymnasium at 4.04pm. Intensive care expert Dr Jasmeet Soar said it was unclear if the man Mr Reeves described was actually a doctor and exactly what assessment he did. He said: "There's no evidence of any formal assessments or any formal treatments." He said he thought Alan was unconscious when Mr Reeves first saw him. He added: "But any more than that, I think one cannot say with any confidence." Maghull dad-of-two Eric Hankin, 33, was shown in pictures in pen three at 3.02pm-3.03pm. Prof Nolan said he was reasonably confident that the psychiatric nurse was alive at that time. Police constable Richard Liversidge described performing CPR on Eric with another officer in the pen, after pulling him from a pile of casualties. He said he saw no response to the treatment. Prof Nolan said it was possible Eric was in cardiac arrest by that time. He said: "The only reason that I am not absolutely certain that that was his condition is because we haven't got good evidence of a clear assessment, and these are also not trained healthcare professionals." The court heard Eric was later seen lying on the pitch and was carried to the gymnasium. He was confirmed dead by an unnamed doctor at 3.35pm before being formally confirmed dead at 4.41pm. Pathologists told the court that the cause of death for all of the victims discussed today was compression asphyxia. Experts were not able to say whether evidence of a 20-year-old's eyes "flickering" meant he was alive when he was given CPR. 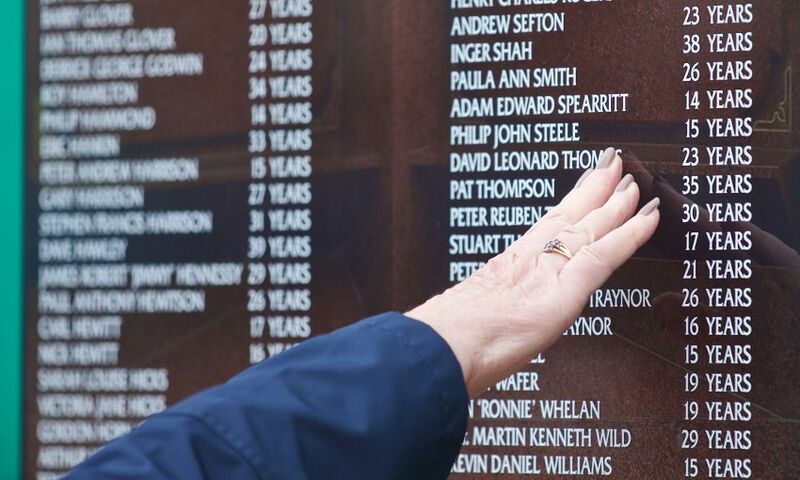 The Hillsborough inquests heard Ian Glover, from Walton, had been seen alive in the pen by his brother Joe - who had escaped the crush and was looking through the fence - at about 3.06pm. Joe, who died in 1999, had described trying to give the kiss of life to his brother on the pitch and said another man tried to feel a pulse but could not find one. The jury was told Ian was carried to the gym where spectator Ian Edwards and a police officer gave him CPR. Mr Edwards said Ian's eyes opened momentarily and then closed again while he was being given CPR. Intensive care expert Dr Jasmeet Soar said: "Initially he described eye opening, and then he clarified that in the transcript as a flicker. "Then there is also whether there was an exhalation of breath. "To me it is quite hard to interpret those signs, in that they could mean anything from a brief restoration of a circulation to that he was mistaken and that was a normal movement of the eyes and breathing out during CPR to he was mistaken. "I can't neatly fit it into any explanation, actually, apart from, they carried on CPR and those signs disappeared and then they stopped."